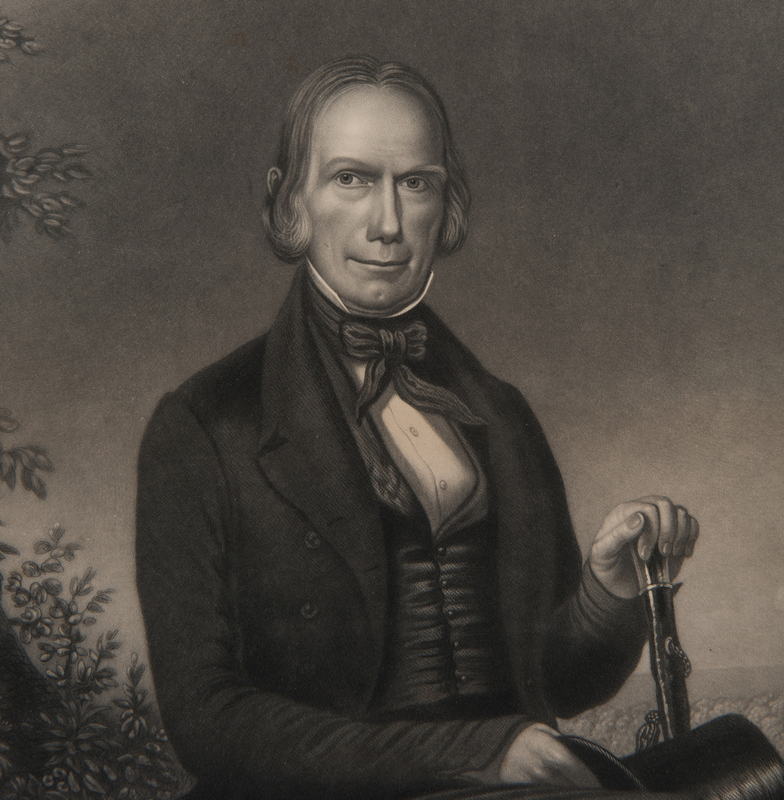 Steel engraving portrait of Kentucky politician Henry Clay after the painting by J.W. 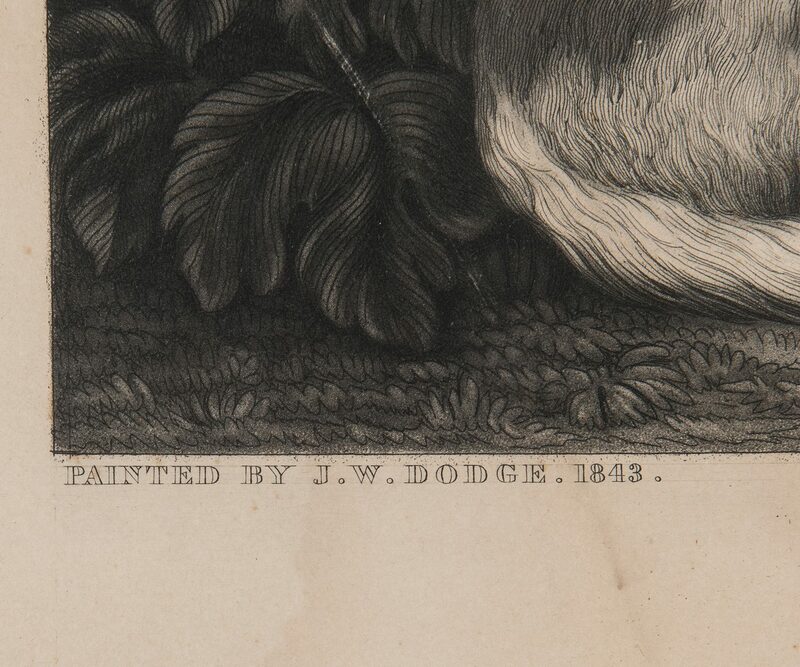 Dodge, 1843. Engraved by H.S. 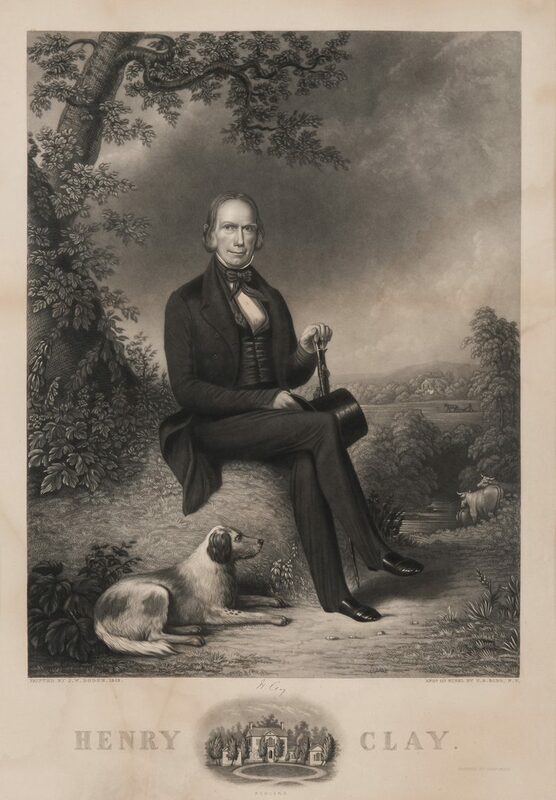 Sadd, N.Y., Printed by John Neale. 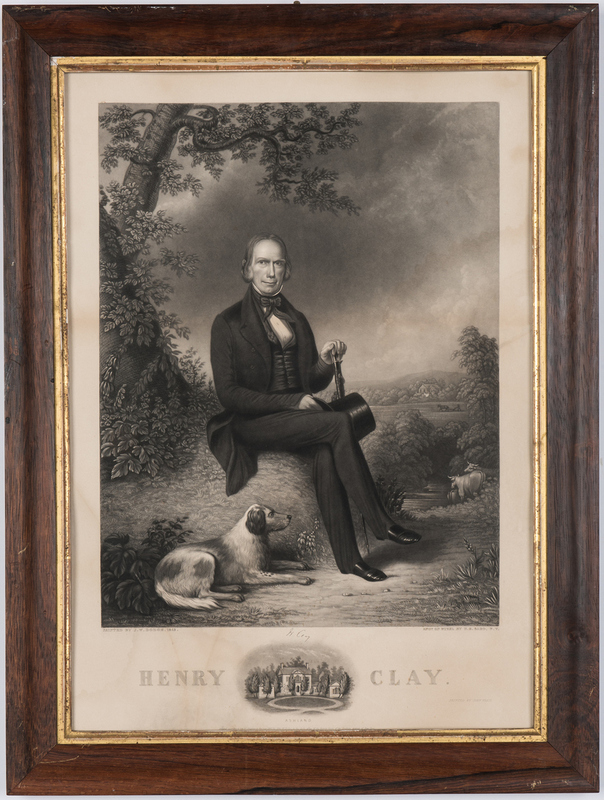 Plate – 19 1/2" H x 15" W. Sight – 24 3/8" H x 17 1/4" W. Framed – 29" H x 22" W. Provenance: The University Club of Nashville, TN; purchased American Classical Antiques, Nashville, 1997. 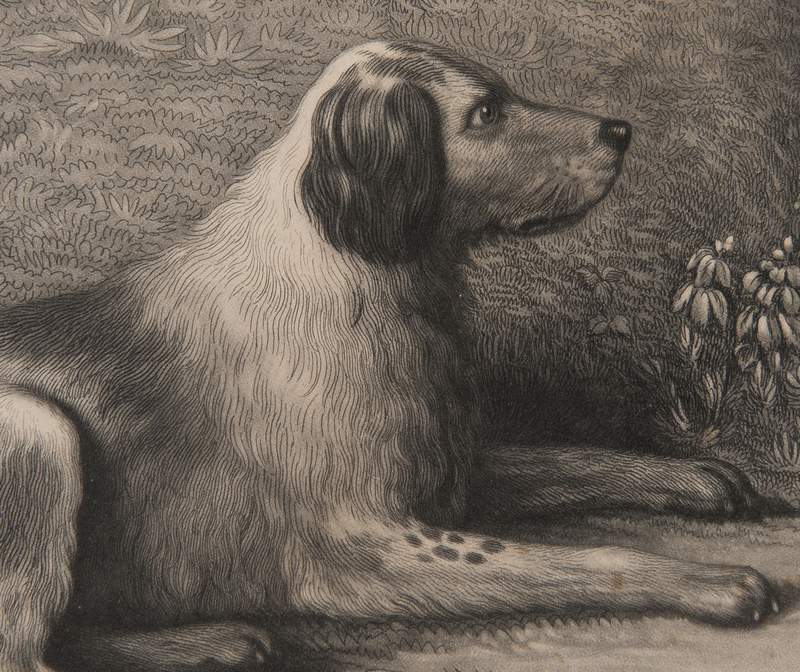 CONDITION: Overall toning, some water damage lower left quadrant.